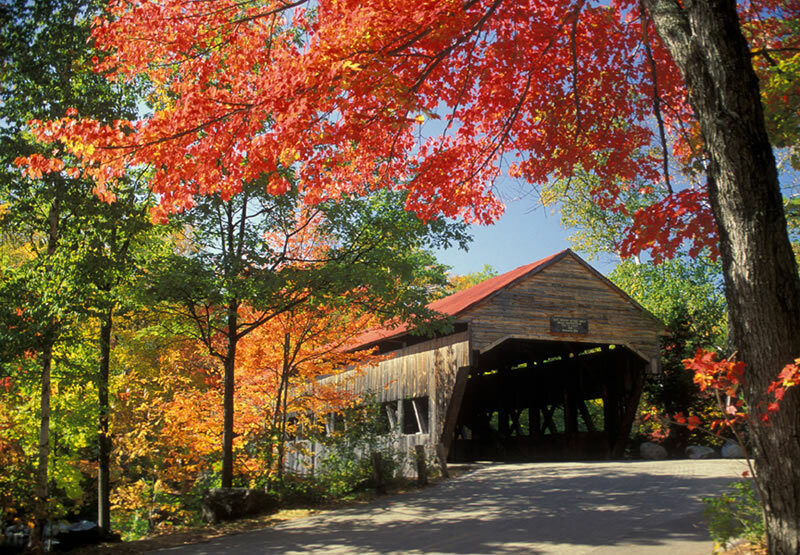 New England In The Fall – Bob Gellatly 22nd June 2015. The title sug­gests that the talk would be about the autumn col­ours of the trees in New England. Not so! Bob Gellatly is a rail­way enthu­si­ast and it was about a rail­way jour­ney he took, with his wife to vari­ous parts of New England in the autumn of 2013 and the emphasis was on the rail­ways in New England and how they func­tioned. New England has boarders with Canada and is in actual fact about the same size as England UK. Some of the places they vis­ited were Boston, Bellows Falls, Chester Vermont and New Hampshire, Ely, Whitefield New Hampshire and Mount Washington. The Monument On Bunker Hill. The first part of their hol­i­day was in Boston and they arrived a day early so they could see the sites and one of the things they did was to follow the Freedom Trail, which is rep­res­en­ted by a red line run­ning from Boston Common to Bunker Hill. 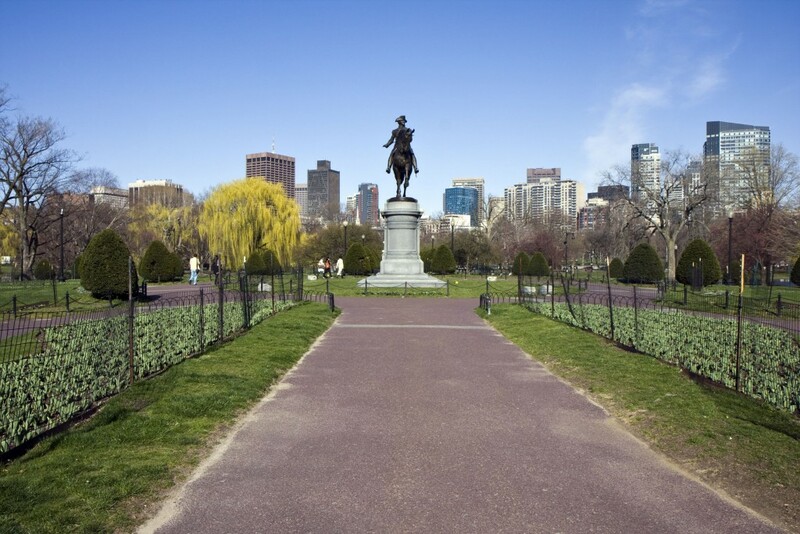 The battle of Bunker Hill took place in 1775 and although they lost the battle the English army was so depleted that it became inef­fect­ive and inde­pend­ence was declared in 1776. 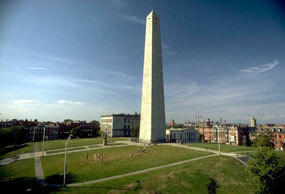 Today there is a monu­ment on the top of Bunker Hill to mark the turn­ing point in the war for inde­pend­ence. Boston is on the Charles River and the oldest com­mis­sioned ship in the American Navy, the USS Constitution, known as ‘Iron Sides@ is moored there. Boston also boasts the oldest under­ground rail­way system in the US although only a small sec­tion of it is under­ground in the city centre. They boarded an Amtrak train to Bellows Falls, which is a vil­lage incor­por­ated in the town of Rockingham in Windham County, Vermont, which is where they boarded a Green Mountain train to their next des­tin­a­tion, Chester. Bob explained that Amtrak is the national rail­way system in the US cov­er­ing the whole of the coun­try but indi­vidual states have their own rail­way sys­tems and they also main­tain the tracks. Consequently Amtrak trains are infre­quent and can be up to a day late because indi­vidual states favour their own rail­way com­pan­ies. He also said that unlike our system, pas­sen­gers are not allowed onto the plat­forms until the train is in the sta­tion and very often pas­sen­gers are con­fined to wait­ing areas very sim­ilar to gates at air­ports. A fur­ther com­ment he made was that American locos are much larger than their British coun­ter­part, being 10’-8” x 15’-1” as com­pared to 9’-11” in the UK. A Train Passing The Signalling Balls At Whitefield Junction. 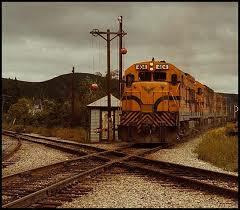 They passed through Whitefield which still has ball sig­nals which pre date the sem­a­phore sig­nalling system. One of the high­lights of the trip was to visit Mount Washington, the highest peak in the Appalachian range. 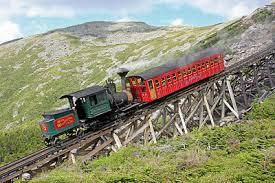 On Mount Washington is a 3.1/2 mile long cog rail­way which was the first of its type in the world, ori­gin­ally opened in 1869. The locos run­ning are the ori­gin­als but the coaches are recon­struc­tions. 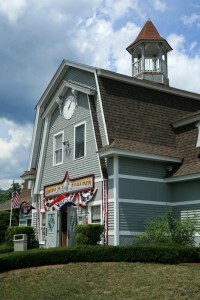 They also trav­elled on the Hobo Junction Railroad from the Jack O’ Lantern Golf Resort to Hobo Junction sta­tion and vis­ited the Albany covered bridge which is 100’ long. All the rail-road sys­tems they trav­elled on did not link up and so they escor­ted to their vari­ous des­tin­a­tions by coach and they did not sleep on the trains but in well-appointed hotels. It must have been an exper­i­ence of a life­time for a rail­way buff but the talk did not depict the beauty of New England in the Fall. Previous PostThe Mayerling Mystery — Michael Rose 15th — June 2015.Next PostBishops’ House – Ken Dash, Archaeologist and Historian — 29th June 2015.